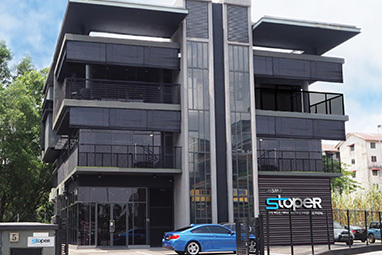 STOPER is a leading provider of professional defense equipment, specifically for the Malaysian government. We provide assault weapons, anti-riot shields, clearing chambers, handcuffs, kevlar vests, t-batons and pepper sprays, which have been tested and approved by the international standards of the National Institute of Justice (NIJ) in USA. In the consumer market, we are the leading personal defense pepper spray provider in Malaysia. All our products use the latest technologies and formulation from USA. All these ideas and innovations begin at our headquarters which is spread across 23,000 sq feet state-of-the-art Wisma Stoper in KotaDamansara. In our unwavering commitment towards innovating protection, we have also invested over 1,000,000USD into our manufacturing and R&D facilities in Jingjang Industrial Park, Jiangsu China. In 2016, our state-of-the-art facilities will also be opening in Kulim Hi-Tech Industrial Park, Kedah.